Roswell, in a general sense, has three different locations, east of Georgia 400, west of Georgia 400 and the historic Downtown area. 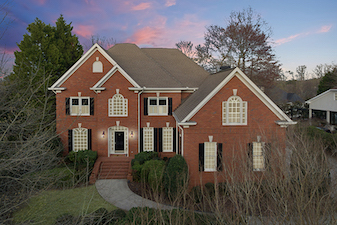 On this page, you can find all of the homes for sale in Roswell east of Georgia 400. This area is bordered on the south by the Chattahoochee River and runs east to about Nesbit Ferry Road and is bordered on the north by Alpharetta and Johns Creek. This section of homes is more similar to the homes found in the Johns Creek area and generally served by Centennial High school. The benefits to being in this area of Roswell over Johns Creek would be if you commute to work into Buckhead, Midtown or Downtown you can more quickly get onto the highway and shorten your commute. The elementary schools on the east side of Georgia 400 in Roswell are River Eves, Hillside and Northwood. The Middle schools are Holcomb Bridge and Haynes Bridge (technically in Alpharetta but serves residents in Roswell also). The high school in Roswell on the east side of GA 400 is Centennial high school. you can clock on any of the links in this paragraph to search homes for sale specifically in those school districts. Want to Live in Roswell East of Georgia 400? Let one of our Premier Atlanta Real Estate specialists trained in this area help. You can call us at 770-604-1860 or fill out the form below and we will get back with you promptly.